This is probably the most specific question we’ve had so far on this series, so I’m going to answer it accordingly. But, to do so, I’m going to make an assumption that the type of company we’re dealing with is a company that sells tangible products and has a profit-based service business to support those products. I work with a lot of companies that have tangible (mostly industrial) products that are supported by an aftermarket service business designed to repair and maintain those products for a profit. And almost all of these businesses seem to struggle with similar strategic questions. 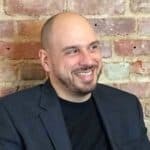 That is, “Should we treat our service business as a separate business from our product business?” And, in related news, “Should we service only our products, or should we service our competitor’s products as well?” So, let’s try to tackle these questions within a couple of different contexts. Strategically, every company has to decide, at some point in its evolution, how it wants to treat each of its individual businesses – and that includes service businesses as well. You can easily make the decision to treat your service business as a bolt-on to your product business. In this case, you would typically only service your company’s own products, and you might even include that business as part of your overall product line P&L. On the other hand, you might decide to treat your service group as a completely separate business. In this case, you would want to look at that business separately from your product business and develop a strategy that is not necessarily tied to only your company’s products. The problem, at least in my experience, is when you are stuck right in the middle of these two scenarios. In this case, you might be caught between the decision of repairing and promoting only your company’s products and growing your service business as much as you can. And if you aren’t strategically clear on these points, then you will almost certainly create a whole lot of confusion and frustration along the way. Of course, I cannot give any definitive answer as to which scenario will be best for your specific situation. I also can’t say that these are the only two scenarios that will be strategically effective in any given company. 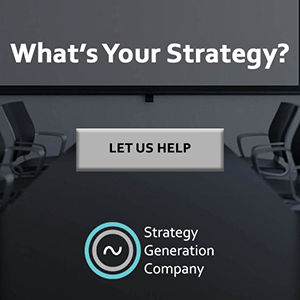 However, what I can say is that you need to be clear on whatever strategy you choose, and you need to communicate that strategy across your organization so that this clarity will ultimately translate into the marketplace. The problem that I most often encounter is when companies are not clear as to what their service strategies are or should be. Then you have the product side of the business working under one assumption, and the service side of the business working under a different, and often contrary assumption. And that’s where things fall apart. 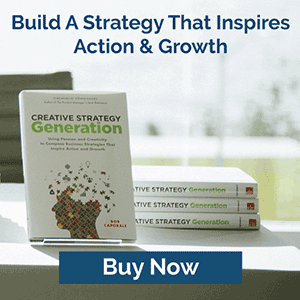 So, like I’ve said so many times before within the pages of this blog – you have to have a strategy. And in this case, you have to have a strategy that brings these two sides of your business together, whether they are truly working together or strategically working apart.